Had some fun with my latest painting. 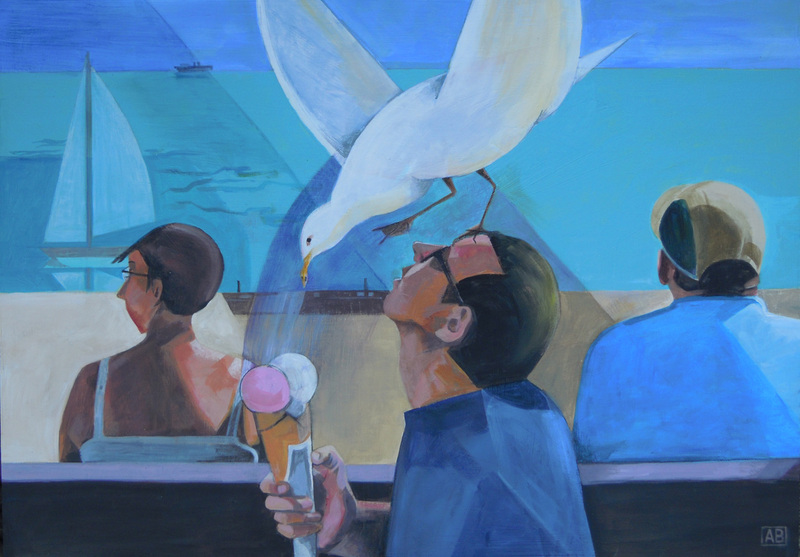 Called “Smash & Grab”, this acrylic is about the growing boldness of seagulls who spot their next victim and swoop down to share a delicious ice cream. Fun, yes, but also a nuisance. 42 x 59cm.